A high bounce rate or premature exits can be a big problem for law firms. It means many high quality leads are squandered, and could-be clients slip through your fingers. A simple yet surprisingly remedy to this issue is creating exit intent popups. What’s an Exit Intent Popup? Say that someone landed on your legal site, checked out your homepage for a second, wasn’t interested in proceeding any further and clicked the back button. An exit intent popup would appear and feature a message with some sort of enticing offer. The idea is that this message will capture the attention of a percentage of visitors, encouraging them to engage with you further rather than abandon your site. Rather than losing them forever, you can keep them in your sales funnel and work on nurturing them. By and large, yes, it does work. 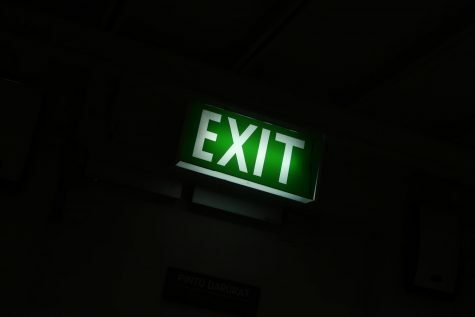 Experts estimate that a whopping 35 percent of lost visitors can be saved through exit intent offers. Just think of the long-term impact this could have on your lead generation and conversions. There are many factors that determine how successful you ultimately are with this technique. You need to understand the mindset of your average visitor and design a message that will appeal to them. The most important thing is that you give them a reason to stay. Your offer needs to provide legitimate value and not simply waste their time. Otherwise, most people won’t think twice about hitting the back button. Something helpful like a free guide to navigating their legal case or a free consultation tends to be effective. Next, create a simple, professional design. The aesthetics of exit intent popups play a big role in how receptive visitors are to them. So be cognizant of the design aspect. Be sure to get your point across, but don’t be annoying or overly aggressive about it. Don’t use sleazy phrases like “But wait — Special Offer!” Also, design it so visitors can exit the popup without a struggle. For instance, place the “X” in a conspicuous area like the top right hand corner. Finally, you’ll want to perform some A/B testing to determine which design, messaging and copywriting combination works the best. This is critical for maximizing conversions. For some nice examples of exit intent popups, check out this gallery from OptinMonster. It can give you some inspiration. A high bounce rate and user abandonment makes it difficult to keep a steady stream of new clients coming in. While exit intent popups aren’t a be-all end-all cure, they can certainly make a difference and encourage visitors to keep engaging with your law firm.